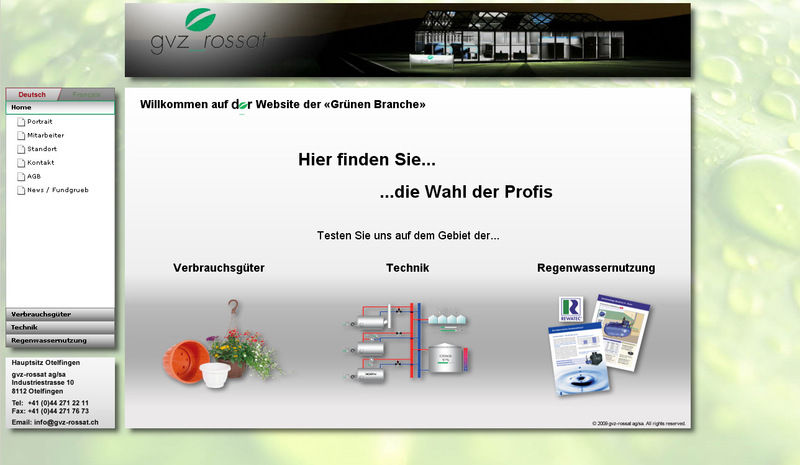 The re-design of the website for the professional gardener supply company gvz_rossat ag/sa goes online. The site uses a Adobe Flex Accordion as navigation and is bilangual. Back in the day flash movies were really hype. Here’s the flash header that I created for this website.